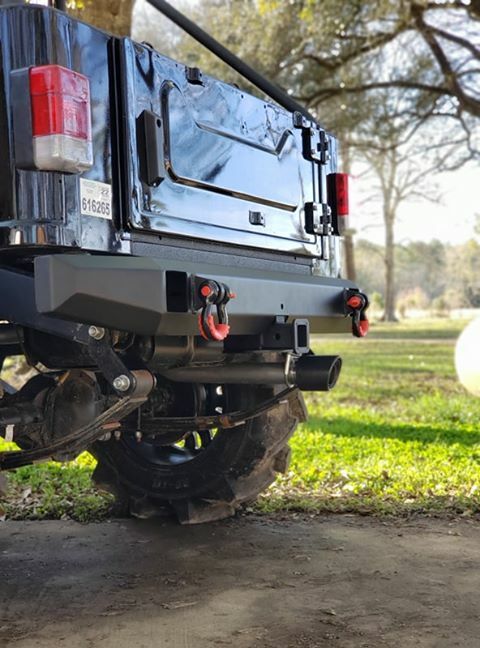 This laser cut, heavy duty (HD), bolt-on hitch utilizes factory holes in the chassis and accepts a standard 2″ trailer hitch. This allows you to put in an adjustable hitch to accommodate your ride height. It also integrates seamlessly with the RxR Performance rear bumper. The standard finish is a black powder coat crinkle finish (to match the factory roll cage finish). Mounting hardware is included.